Natalie’s birthday was a few weeks ago and we just got around to opening up one of her arts and crafts presents. 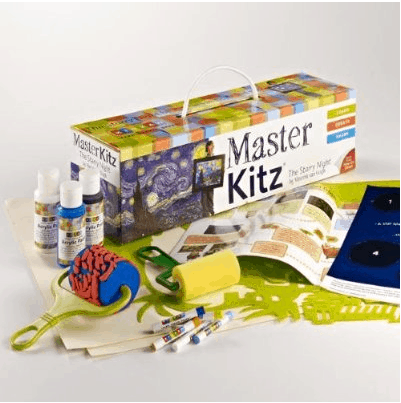 Have you heard of Master Kitz? There are a variety of options to choose from – we had Water Lilies. Basically, the kit comes with everything you need to replicate a work of art. Water Lilies was originally painted by Claude Monet. But if Starry Night is more up your alley – they have that too! Each kit is slightly different depending on the masterpiece your child will recreate. Natalie is 7 and was able to read the instructions and set up the tools on her own. She took complete ownership of this project and it’s now hanging in our living room. 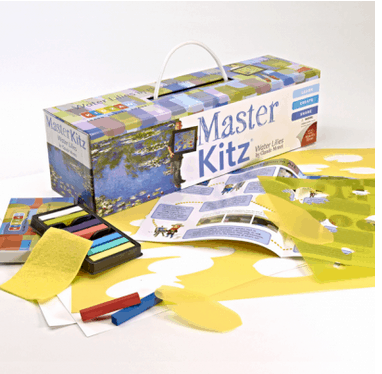 If you have a child that loves art, consider Master Kitz. 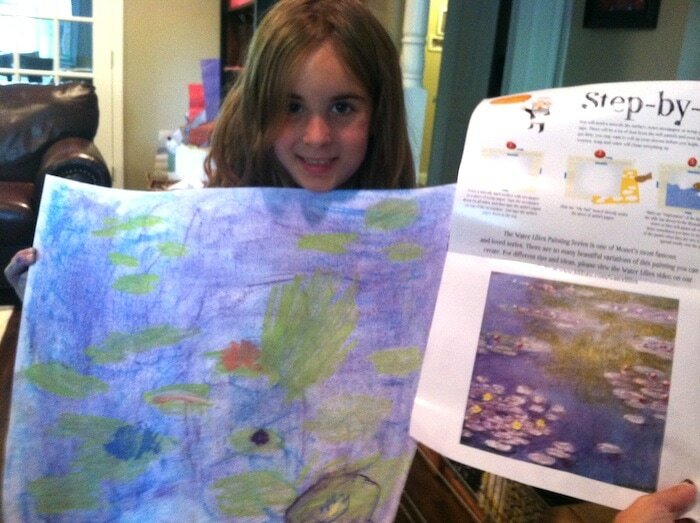 Natalie…your Water Lilies are beautiful…I love all the energy in it. And thanks Vera for posting this, I love to see what the kids do!